Home > Black Cat Hill Books > The French Nation, from Napoleon to Petain 1814-1940. The French Nation, from Napoleon to Petain 1814-1940. London, UK Hamish Hamilton , 1957. Hardcover First Edition , so stated. First Edition , so stated. Very Good+ in Good+ DJ: The Book shows indications of very light use: just a touch of wear to extremities; slight crimping at the heel of the back strip; former owner's small address label at front free endpaper; the rear board is somewhat bowed; the binding is square and secure; the text is clean. The DJ shows moderate wear to extremities, especially at the corner tips; there is an eighth-inch chip at top of the hinges; the price has not been clipped; mylar-protected. No longer 'As New', but overall remains clean, sturdy and quite presentable in a somewhat worn DJ. NOT a Remainder, Book-Club, or Ex-Library. 8vo. 328pp. Green cloth over boards with gilt lettering at the back strip. Hardback with DJ. Brogan describes French society as well as French politics during the period from the fall of Napoleon to the setting up of the Vichy government. The nation demonstrated remarkable resilience and versatility, necessary qualities for a long lived nation state. Sir Denis William Brogan (born 11 August 1900 in Glasgow; died 5 January 1974), Scottish author and historian. He studied in Glasgow, Oxford, and Harvard. From 1939 to 1968, he was a fellow of Peterhouse and professor of political science in Cambridge. In 1963, he received a knighthood. He was the brother of journalist Colm Brogan and the father of historian Hugh Brogan. He is buried in the Parish of the Ascension Burial Ground in Cambridge, according to A Guide to Churchill College, Cambridge: text by Dr. Mark Goldie, pages 62 and 63 (2009). His ex-wife Olwen Phillis Francis (Lady Brogan), OBE, archaeologist and authority on Roman Libya and mother of four children, is also buried in the same cemetery; she later became Olwen Hackett on her second marriage, when she married Charles Hackett. Title: The French Nation, from Napoleon to Petain 1814-1940. 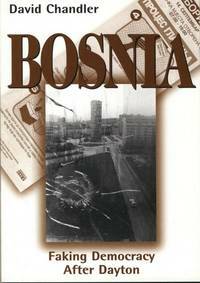 Bosnia: Faking Democracy After Dayton. 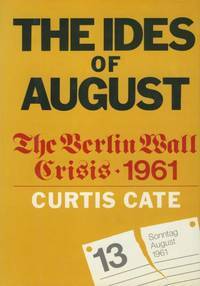 The Ides of August: The Berlin Wall Crisis, 1961. 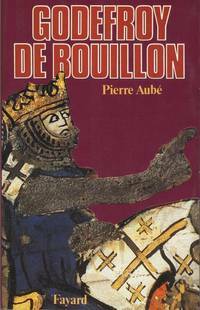 Godefroy de Bouillon (French Edition).